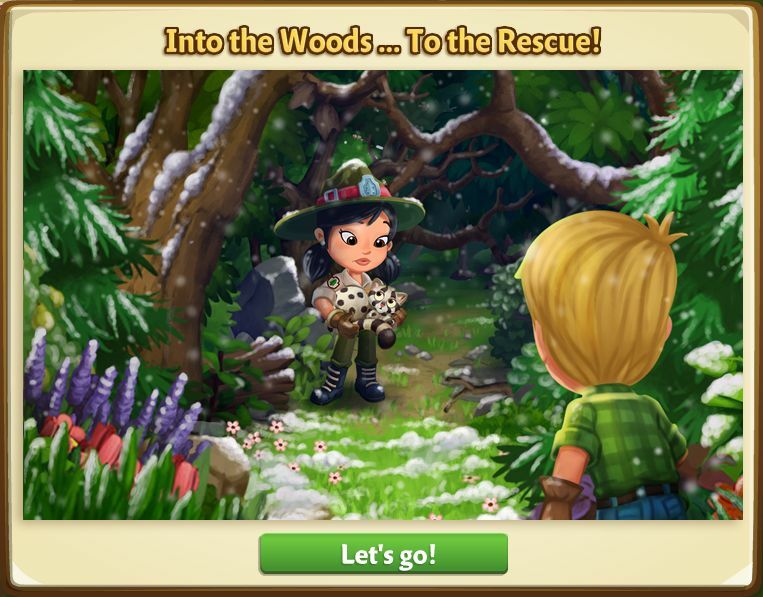 Into the Woods...to the Rescue! 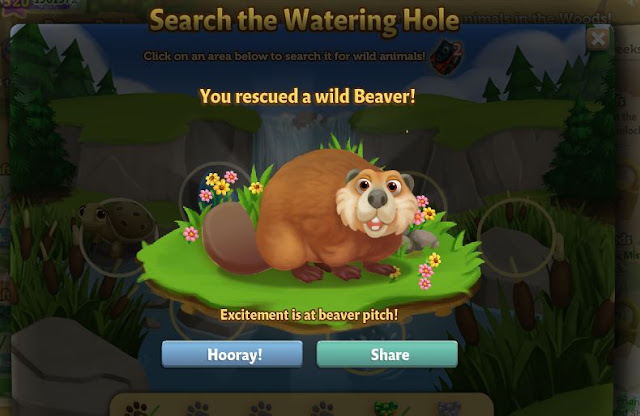 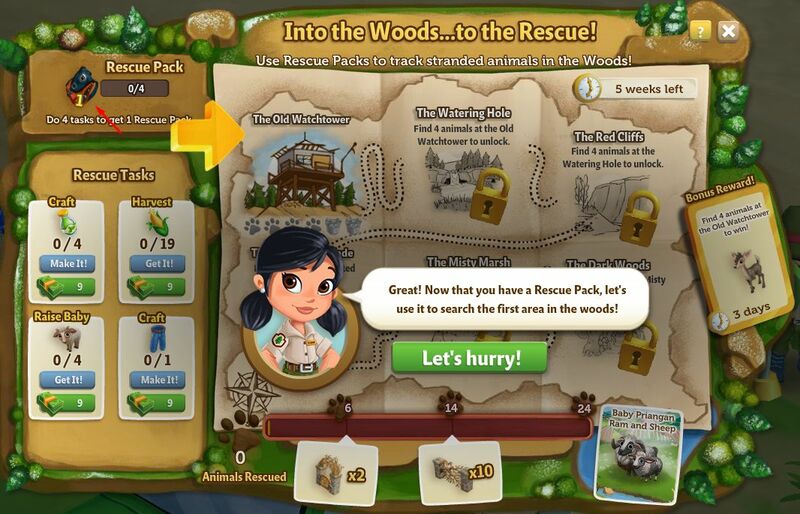 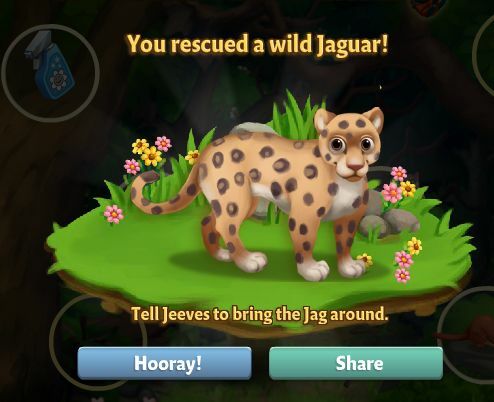 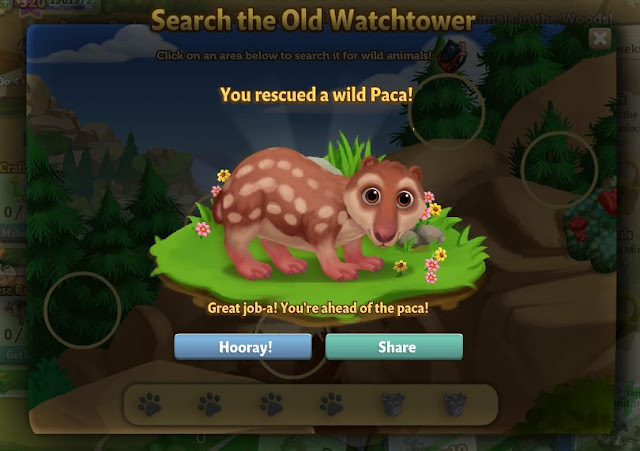 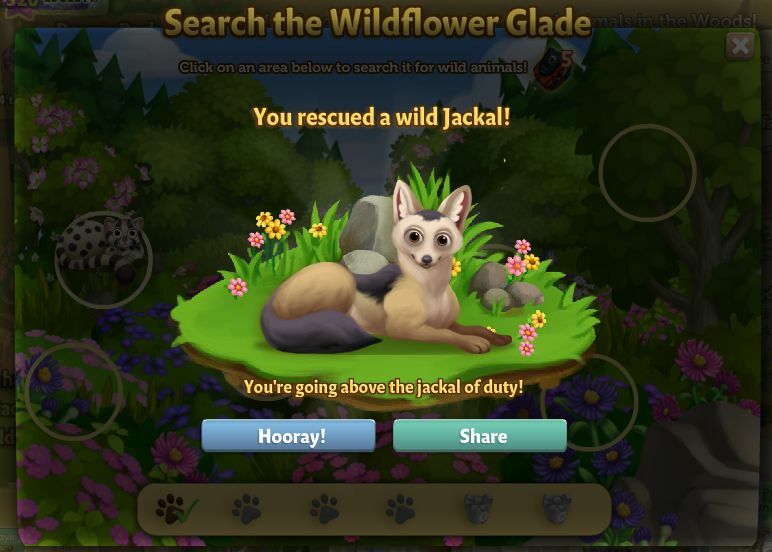 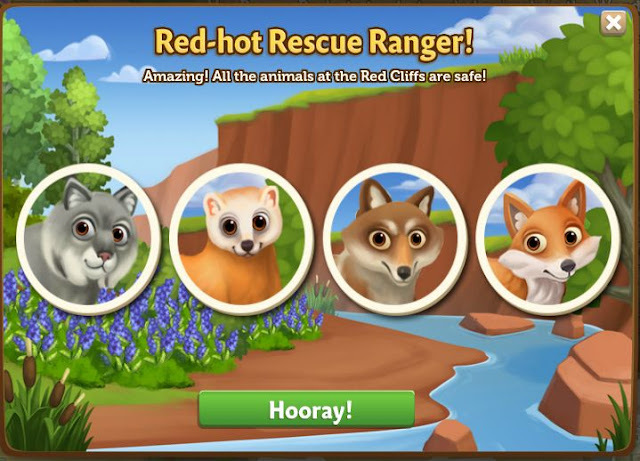 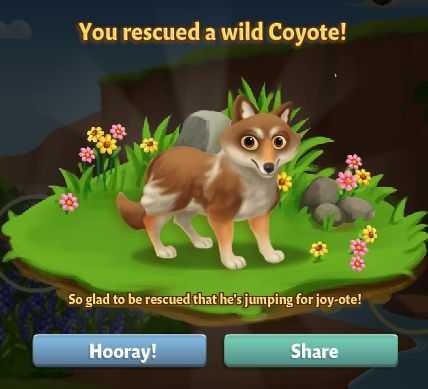 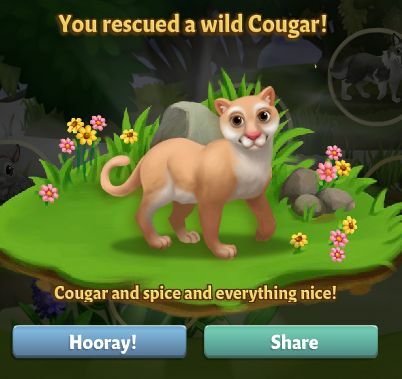 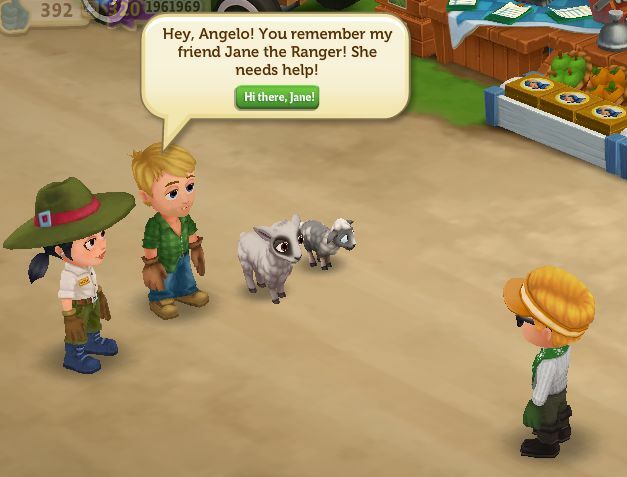 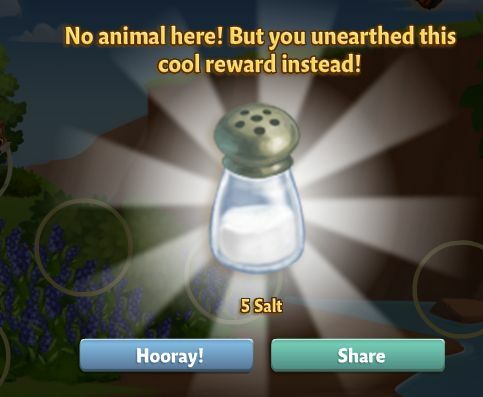 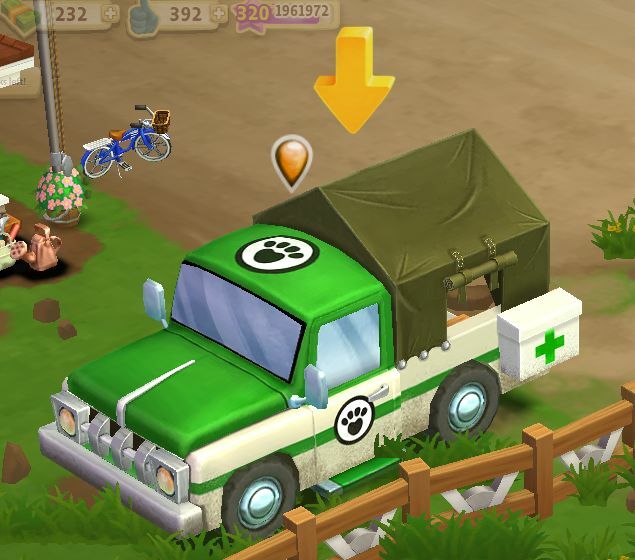 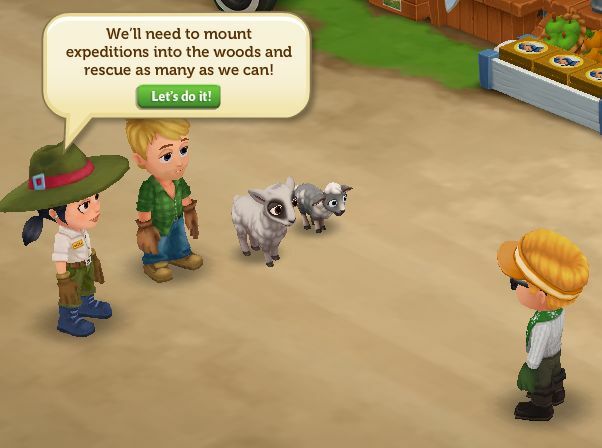 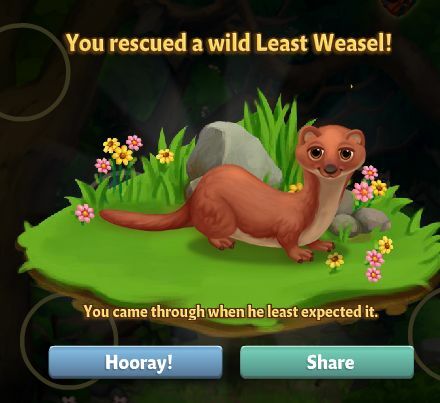 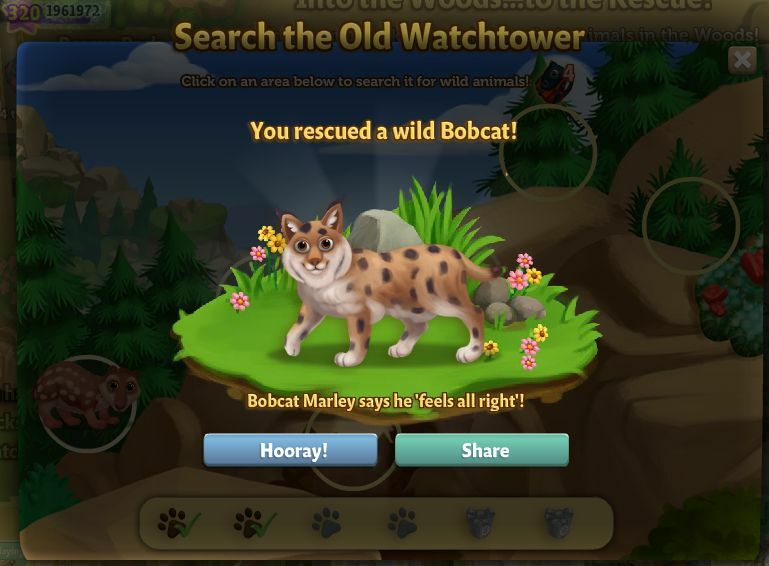 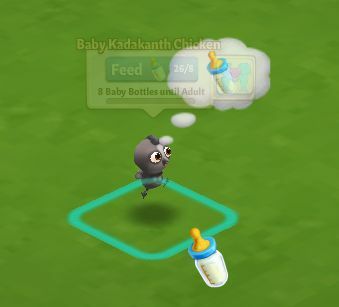 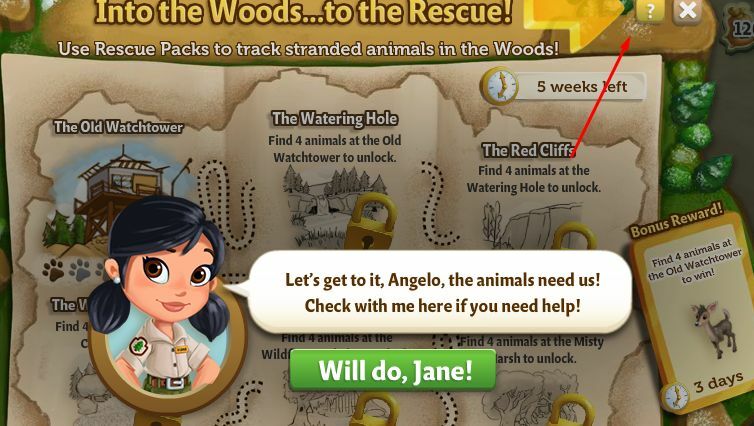 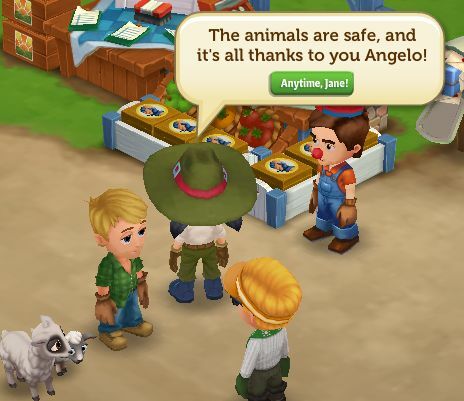 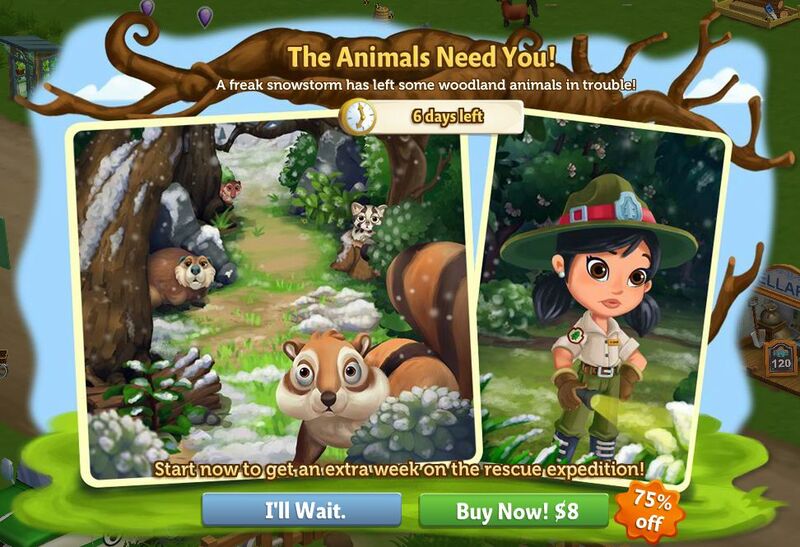 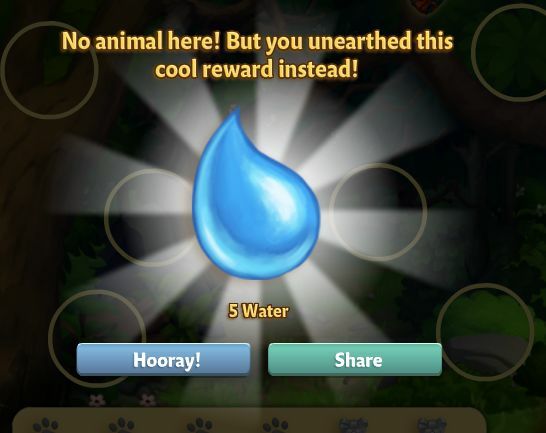 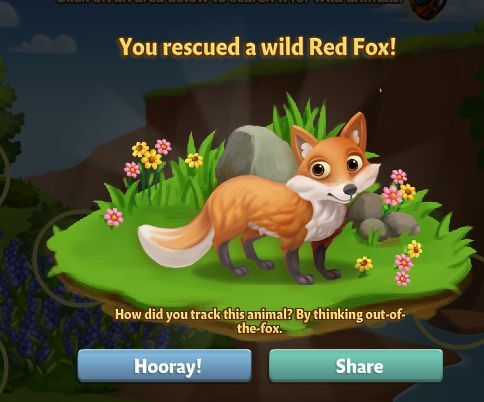 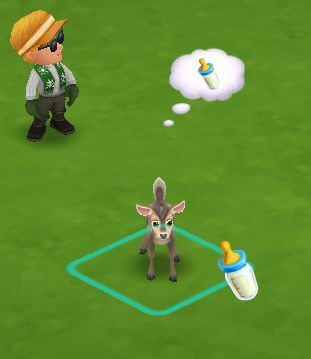 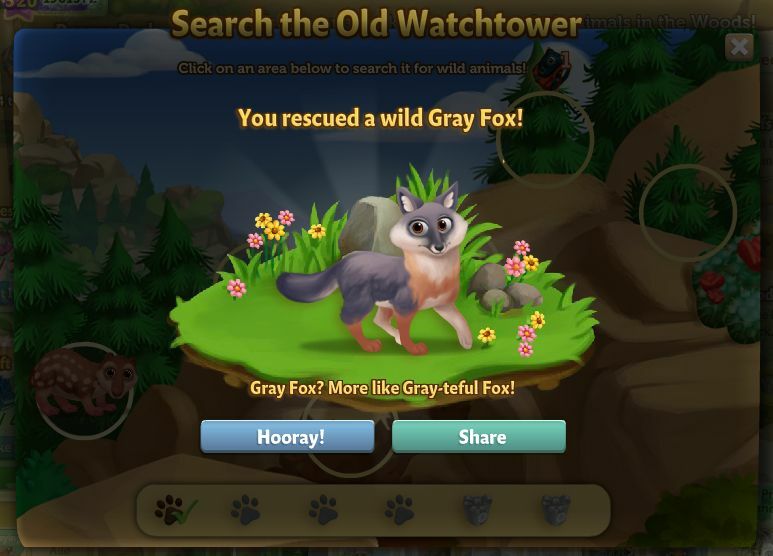 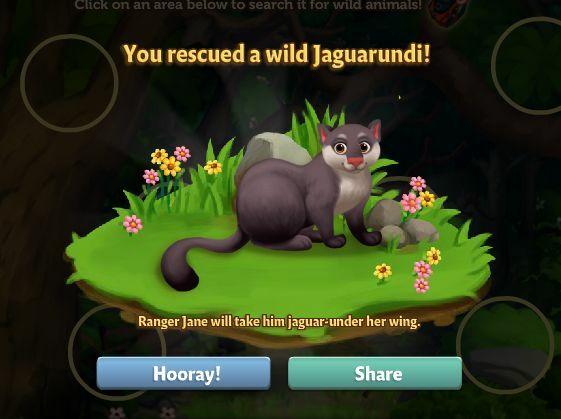 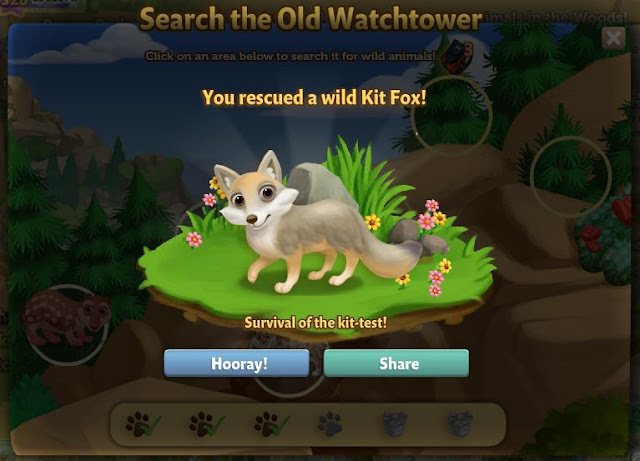 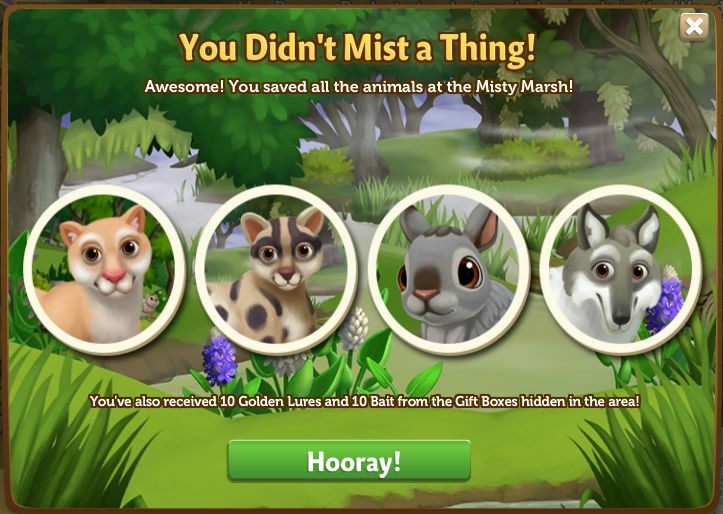 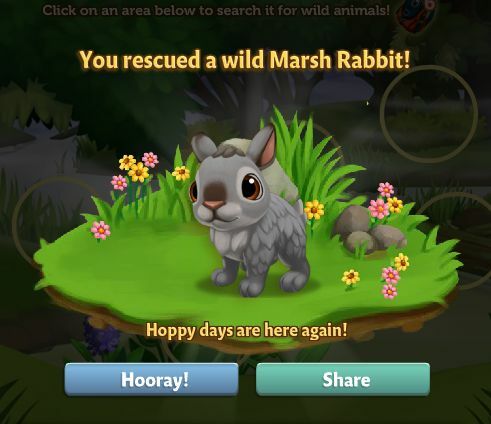 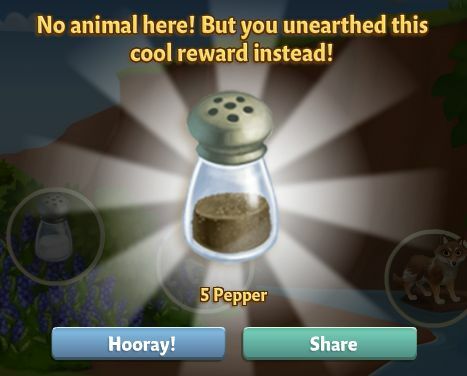 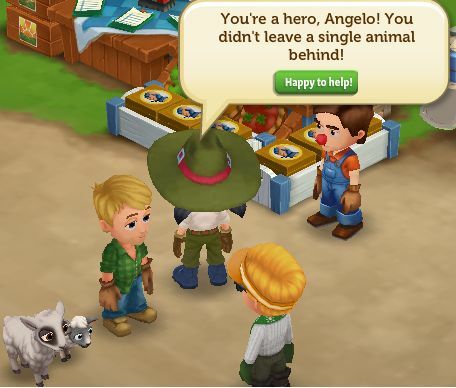 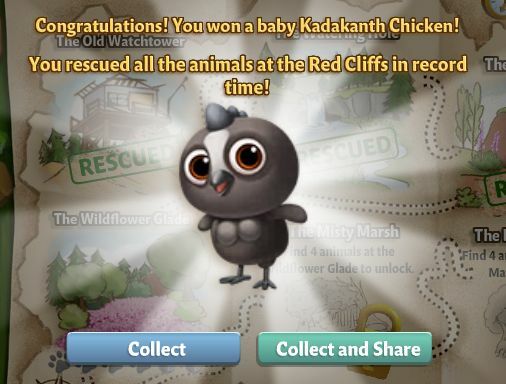 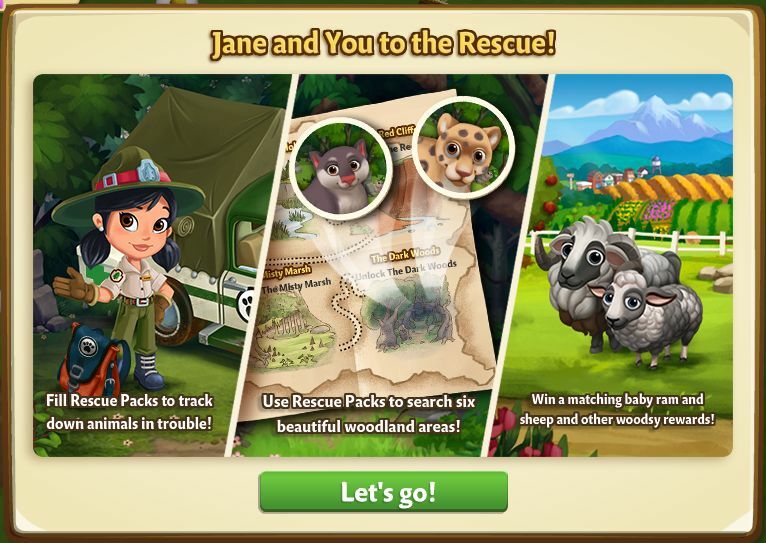 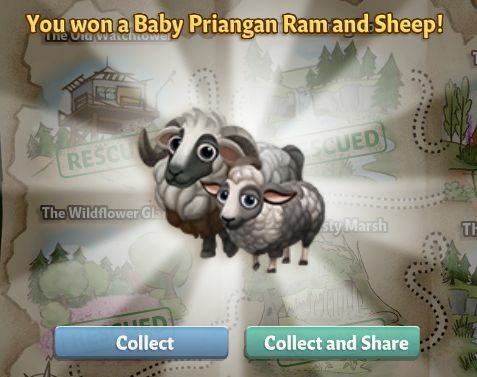 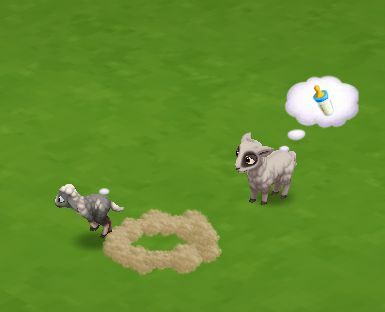 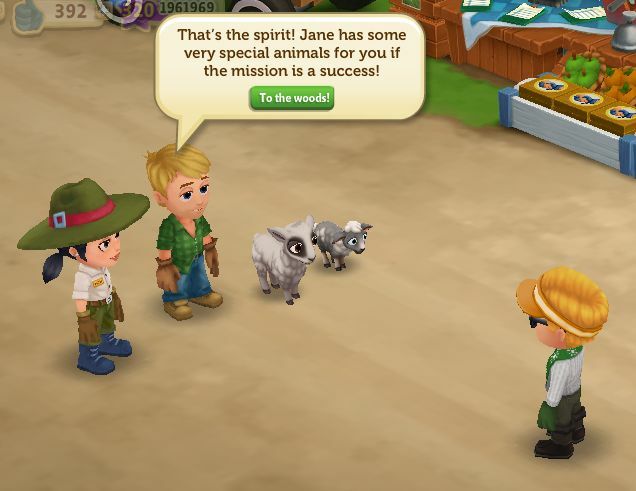 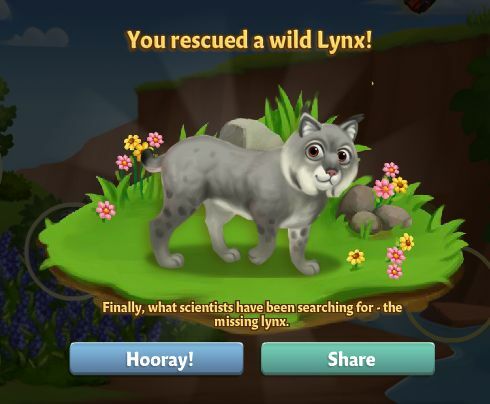 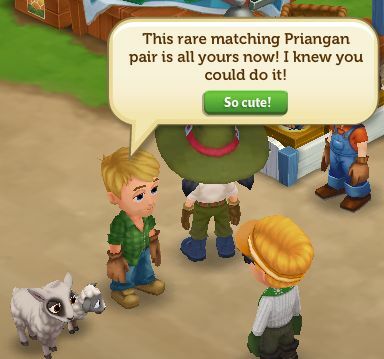 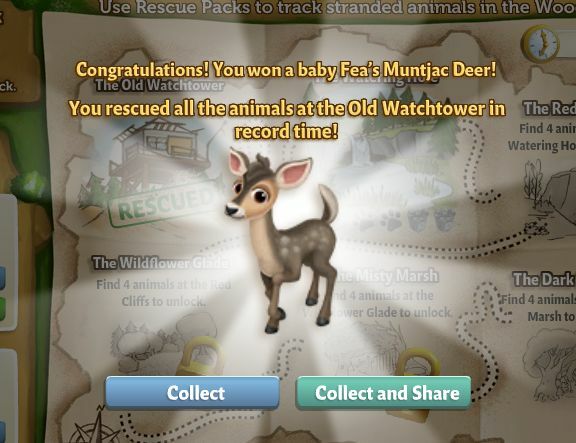 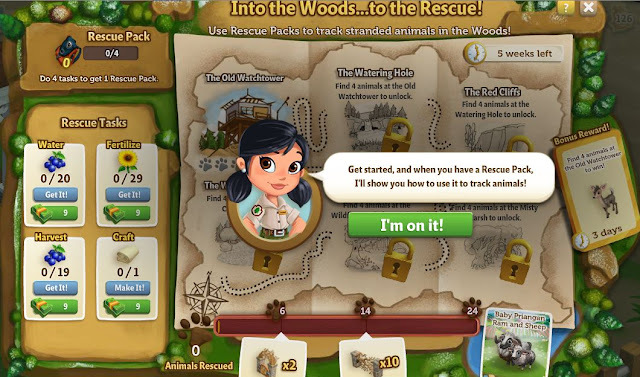 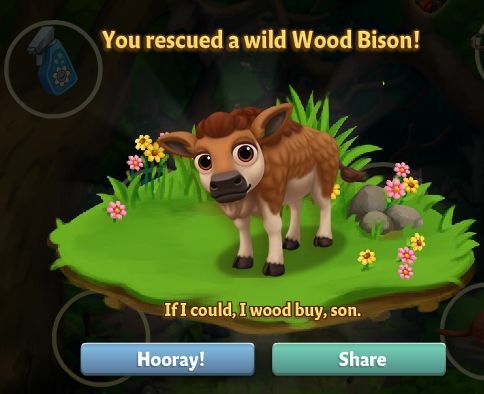 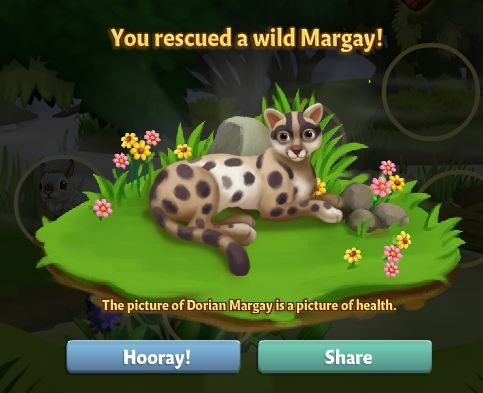 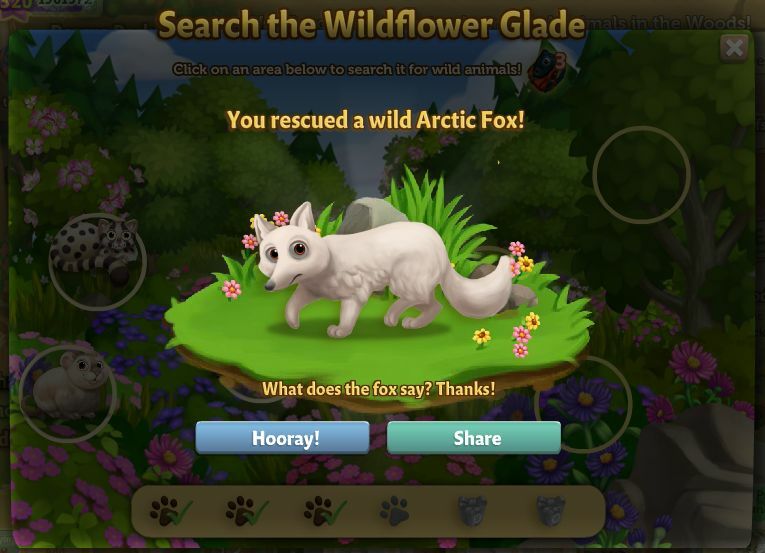 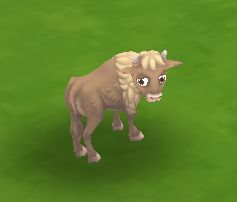 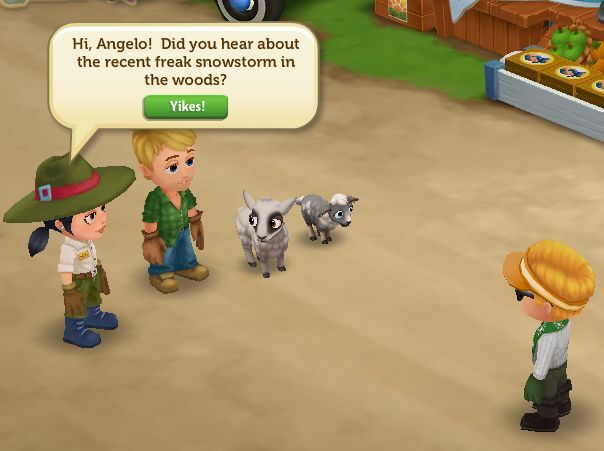 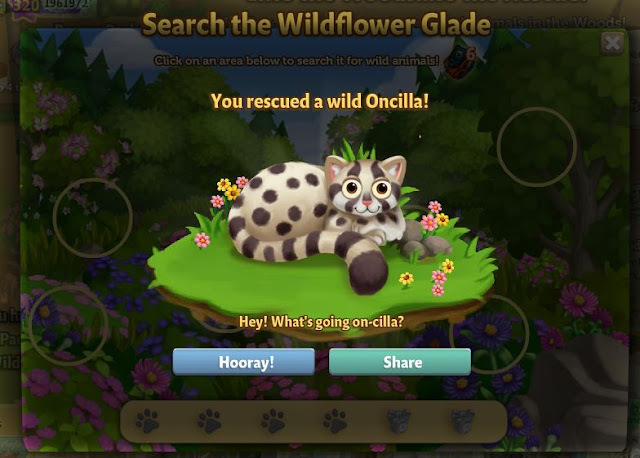 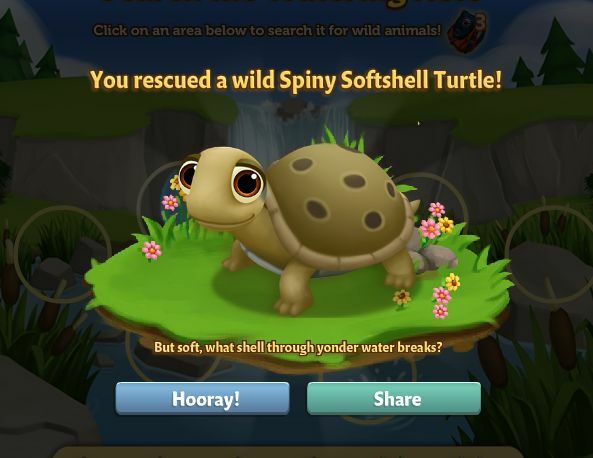 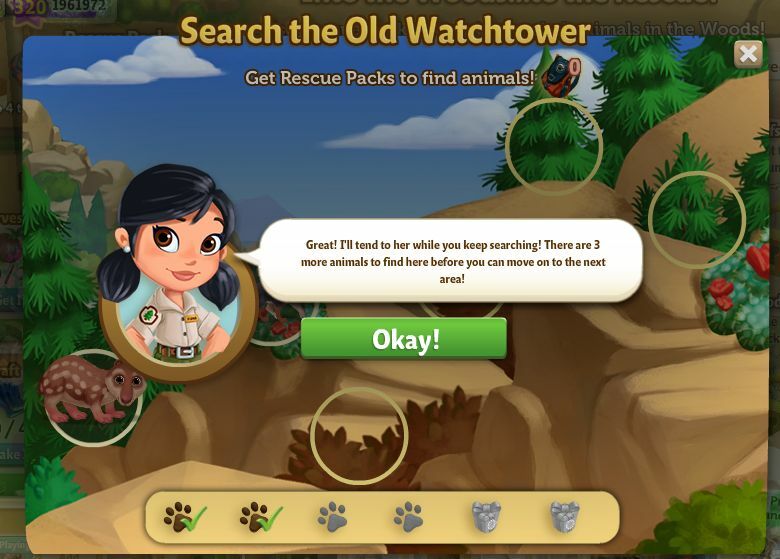 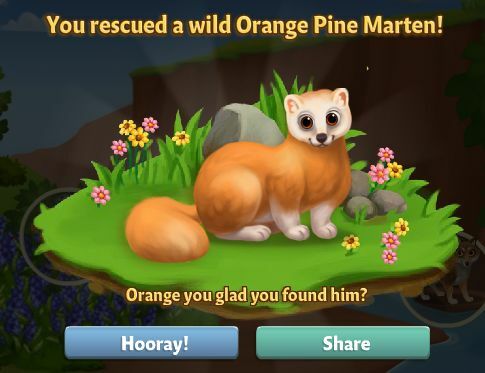 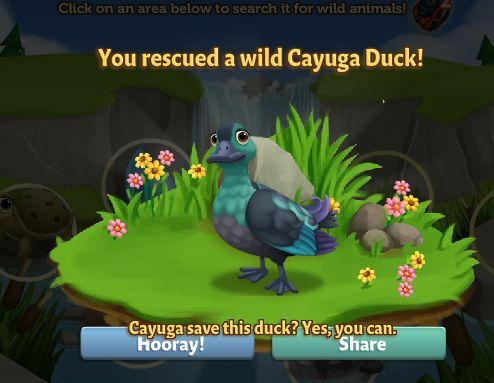 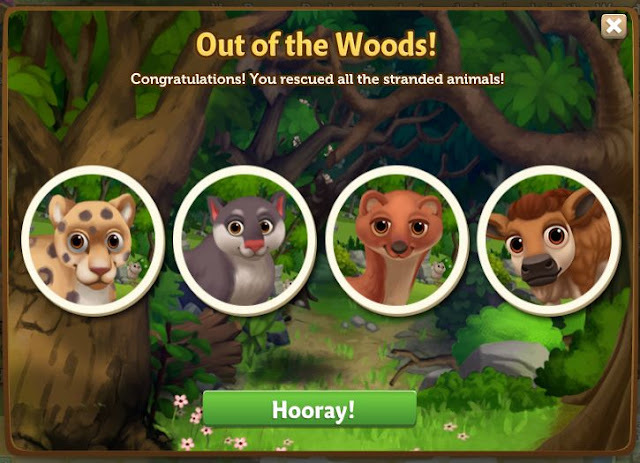 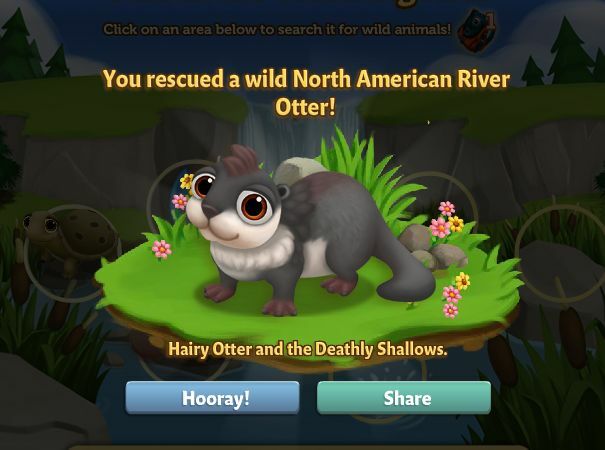 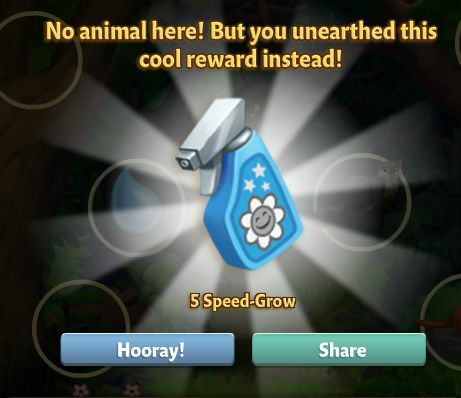 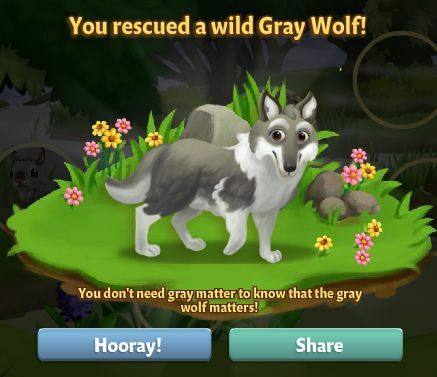 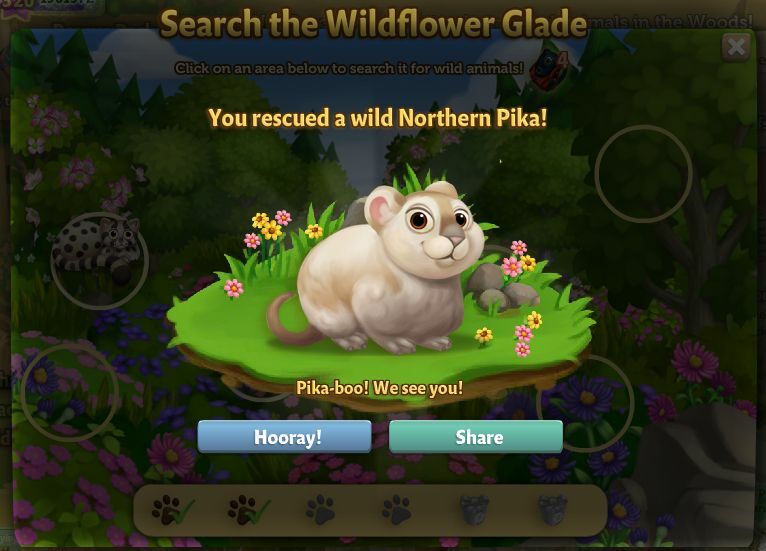 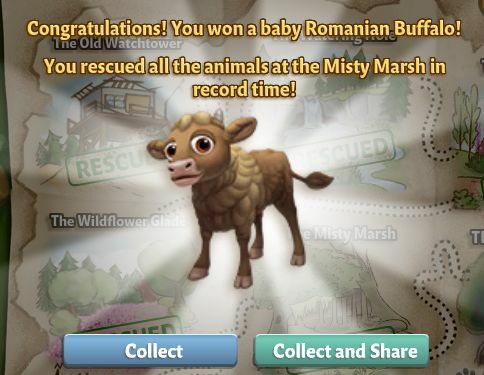 Use Rescue Packs to track stranded animals in the Woods! 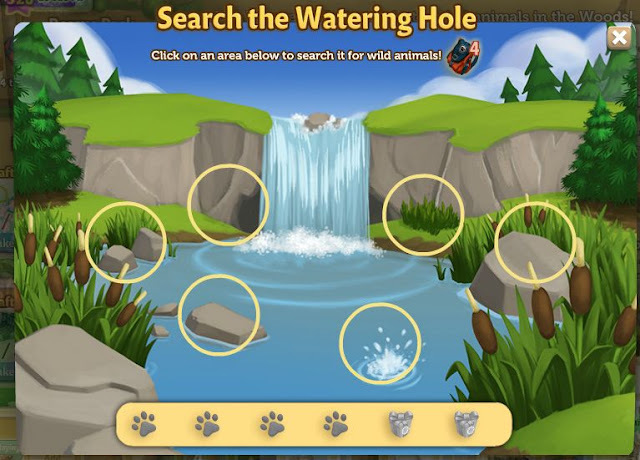 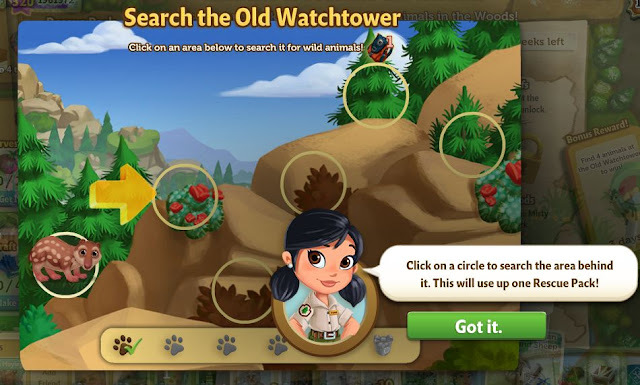 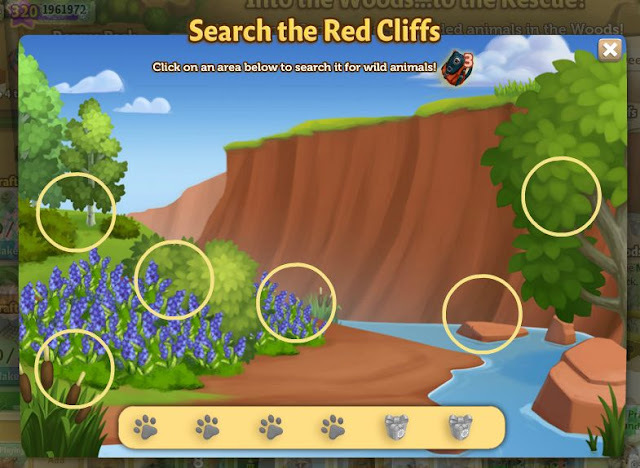 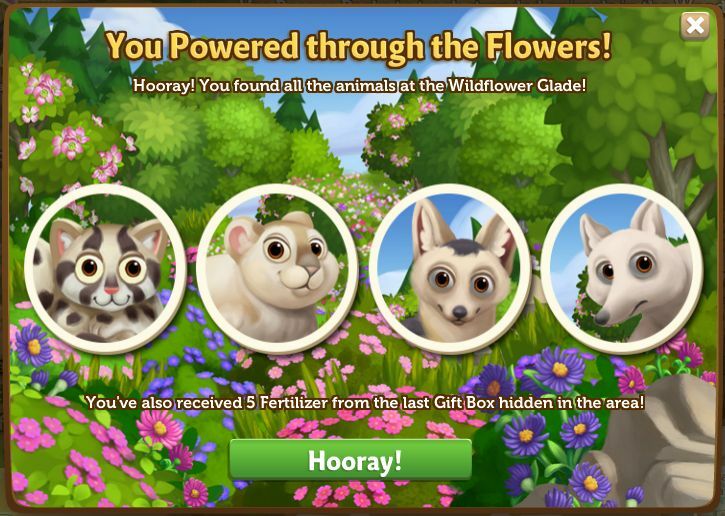 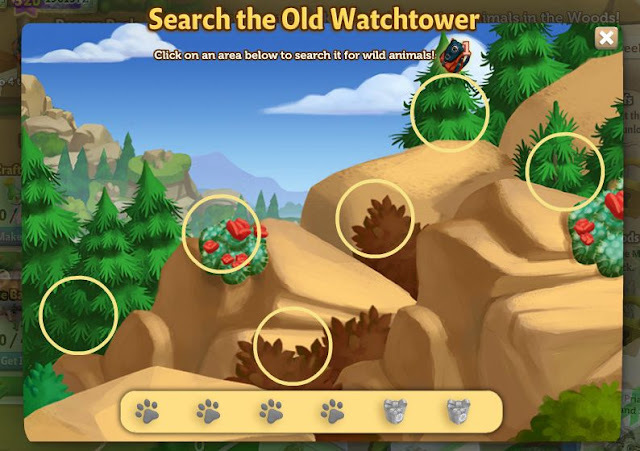 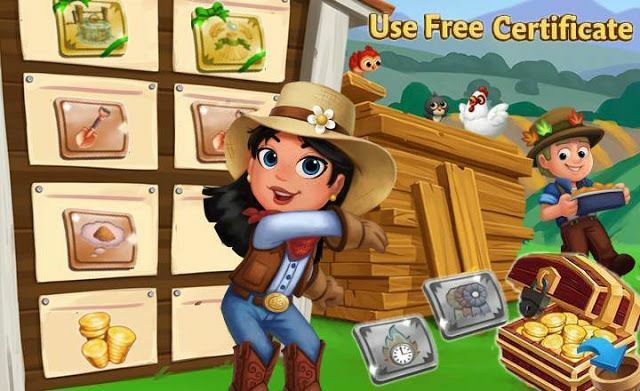 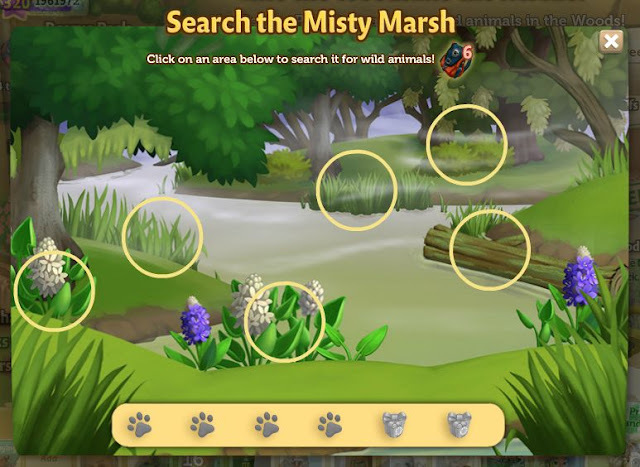 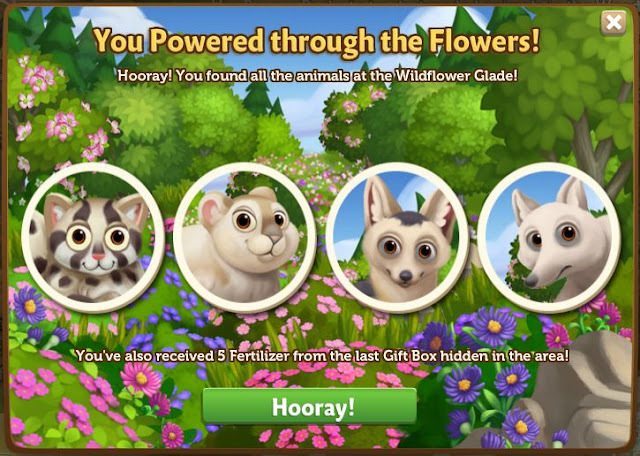 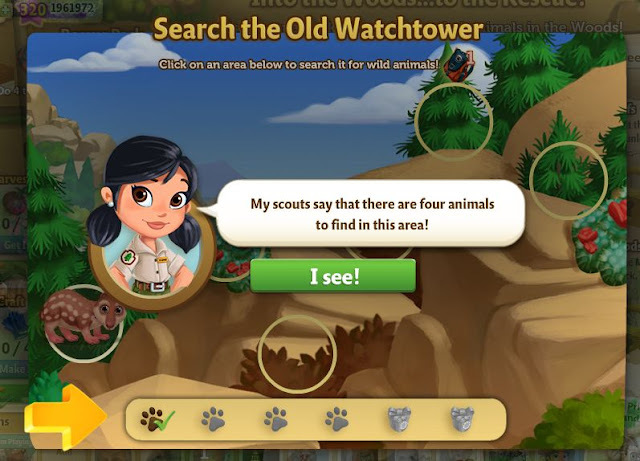 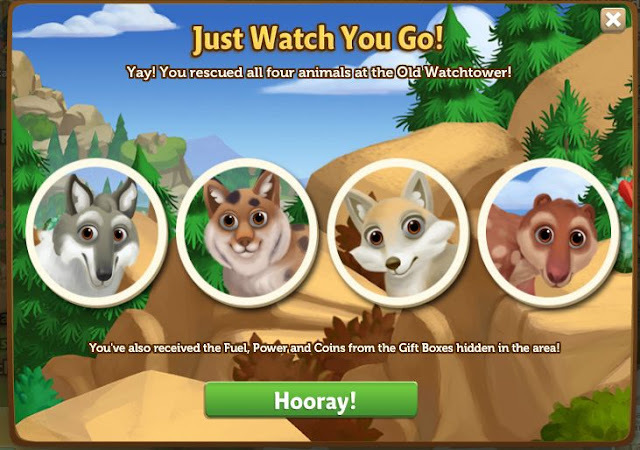 Find 4 animals before the timer runs out to win! 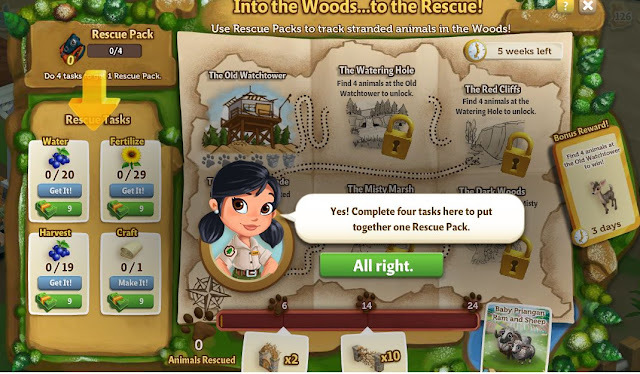 Complete tasks to put together Rescue Packs. 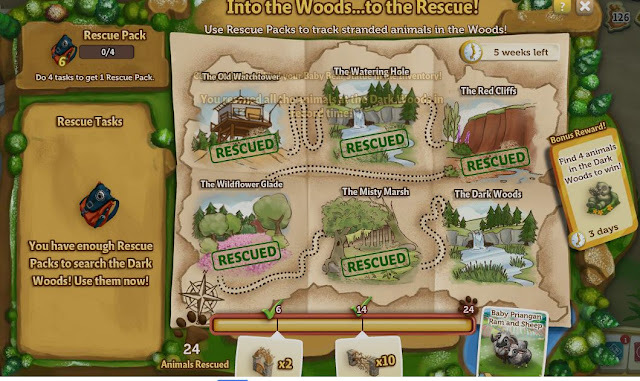 It takes four tasks to fill one Rescue Pack. 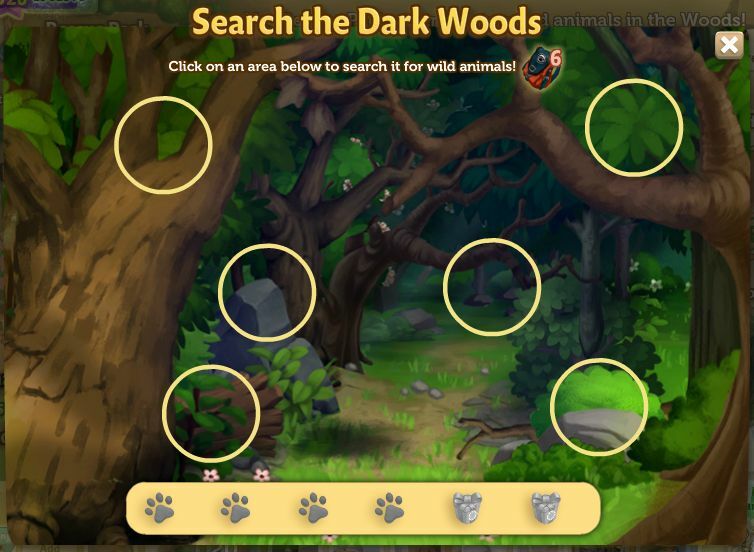 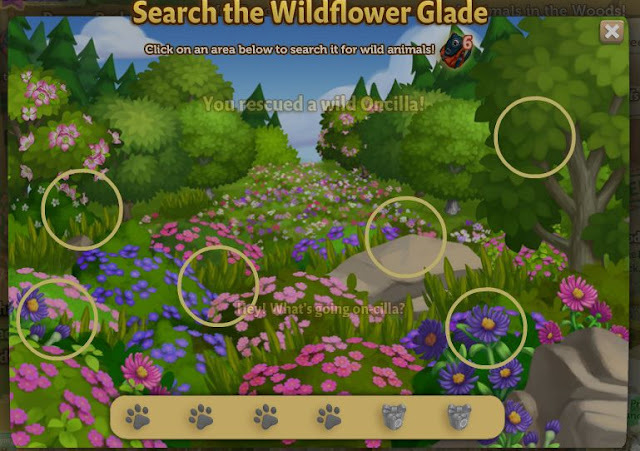 There are four animals to find in each woodland area. 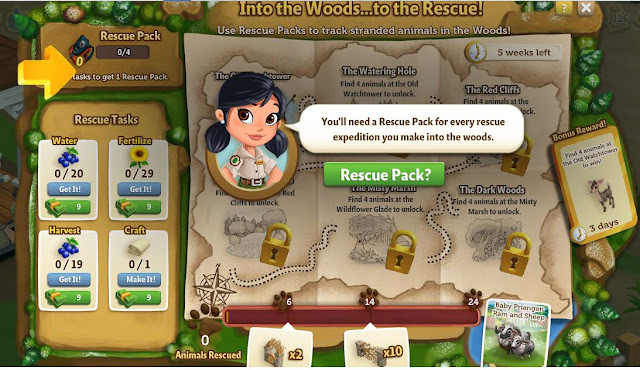 Each search uses up one Rescue Pack. 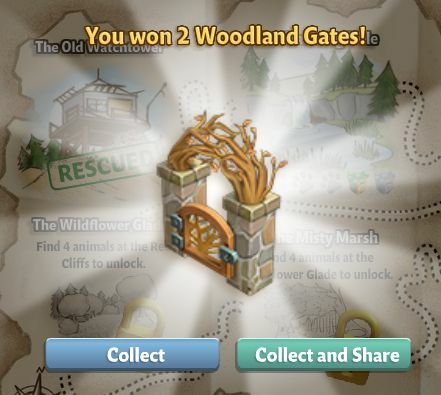 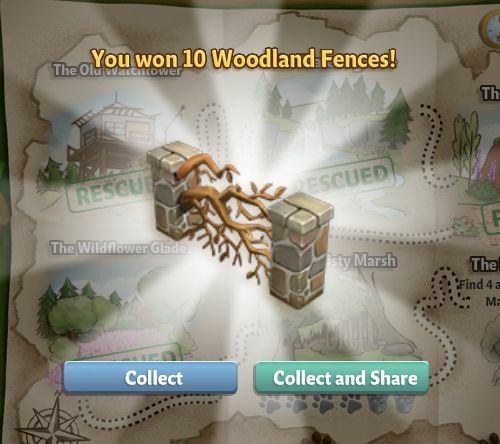 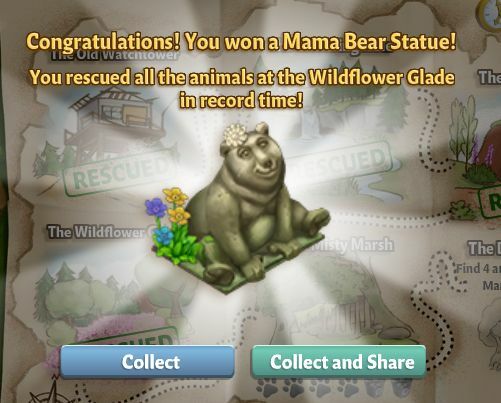 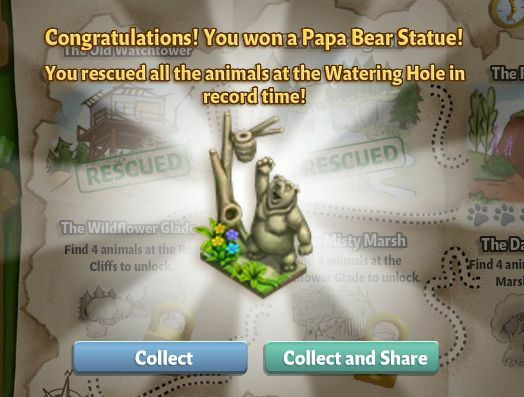 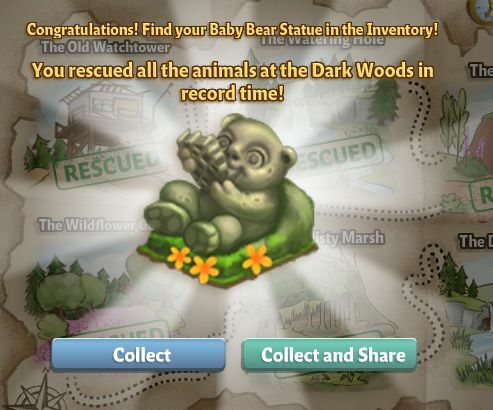 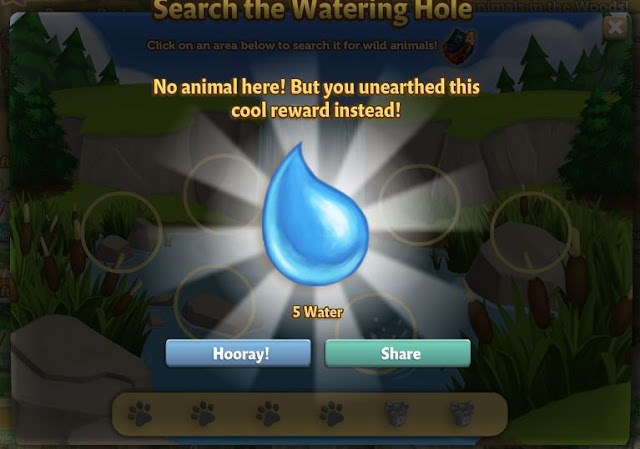 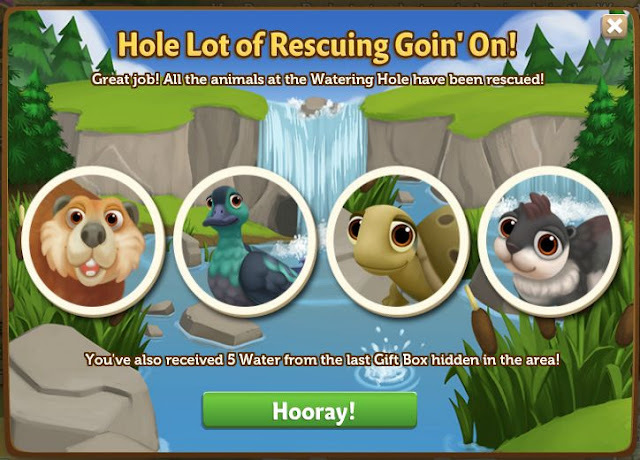 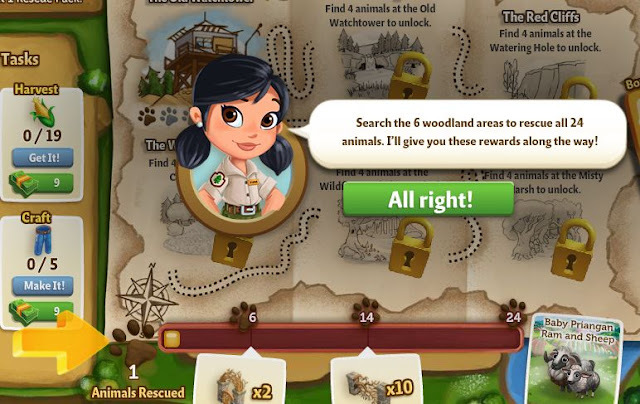 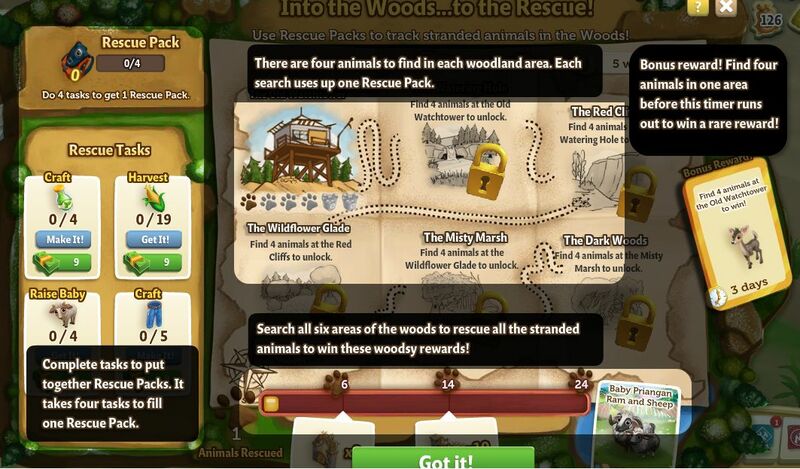 Search all six areas of the woods to rescue all the stranded animals to win these woodsy rewards!